At Creative Audio we strive to bring you the best products, at the best prices, with the best support, just like we have been doing for the past 25 years. You can rest easy knowing we are not just one of those other retailers who sell brands without permission or support from the manufacturer. We bring you the best, with the warranties you can count on. Continue reading to see the great products we offer from the biggest names in the industry. JL Audio is an independent United States company that brings incredible products to your home, powersports vehicles, and your car and truck. The quality behind their products and the pride that goes into them set them apart from many other companies in the industry, Behind all of their efforts is a strong belief that great audio has real value. Throughout the whole company you will find people who live and breathe audio, take it seriously, and love their career in such an awesome field. To maintain such high standards with their patented and proprietary technologies JL Audio actually builds many of their premium subwoofers, marine audio, and Stealthbox enclosures right here in the U.S. JL Audio creates an experience you have to hear to believe. And as a JL Audio Signature dealer, you know we can pass on their engineering along to you with outstanding customer service. It all began in 1973 as a two-man operation building speaker-systems in a one-car garage. With few resources but an intense love for music Steve Irby all but invented the mobile enclosure market in his Oklahoma Community when he developed the first original Kicker. It was the first full range speaker box developed specifically for cars and trucks. From that point to today, delivering concert-like audio quality at a variety of volume levels while still maintaining renowned bass and accurate sound has always been the Kicker way. 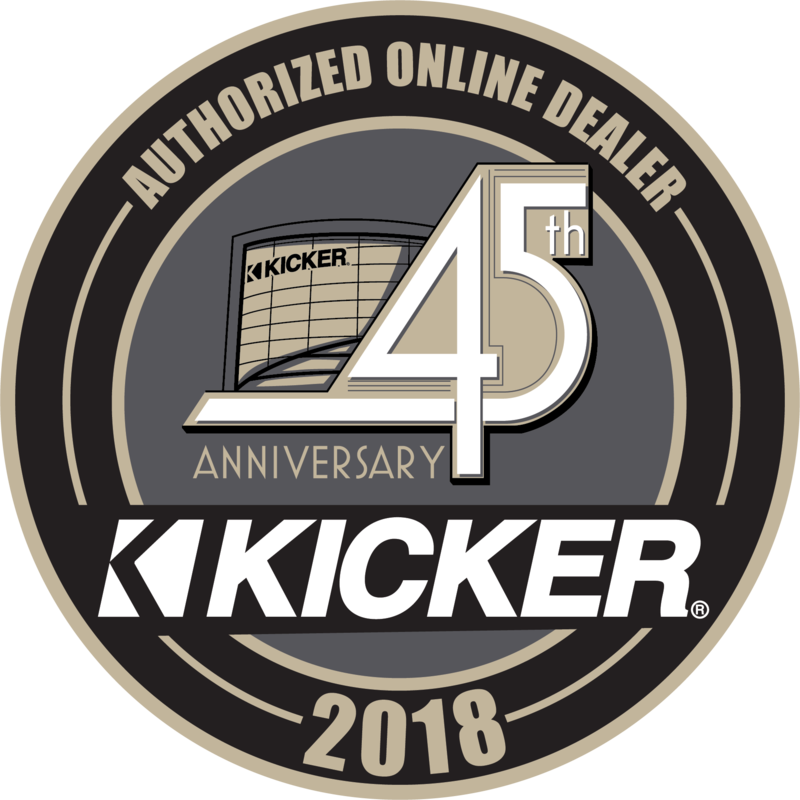 Kicker has been a leader in automotive audio innovation and after 35 years also jumped into the home and personal audio market with bluetooth digital media devices and high-performance headphones and earbuds. Kicker still remains in its home state of Oklahoma in the city of Stillwater. Kicker products are designed and shipped from their 280,000 square-foot facility that is called home by nearly 200 energetic individuals who want nothing more than to push the limits of audio design technology and performance. Alpine is generating a new kind of in-vehicle space based on the convergence of high performance audio, video, navigation and telematics in the form of Mobile Multimedia. In-vehicle navigation systems are the resource center of the company's Mobile Multimedia lineup. Intelligent Transportation Systems (ITS), digital versatile disc (DVD) players, Dolby Digital systems, satellite digital audio radio, mobile data linking and communication through telematics devices will be fused with navigation systems to create a platform of products. FUSION Electronics Ltd was founded in New Zealand in 1998 as a home grown car audio brand grown out of the Founders passion for cars, music and the surrounding street culture. That was their battle plan back in 1998 and they’ve succeeded; growing steadily to become the global champion they are today. A global expansion powered by their passion for high quality audio and an unrivaled sense of fun. Strength in product design coupled with innovative thinking has led to FUSION’s growth into new product categories, and the development of a world-leading marine audio product range to compliment the already strong car audio offering. FUSION is now poised to grow even further, and become a fully fledged global electronics brand. Since modest beginnings in New Zealand, subsidiaries have now been established in the UK, USA and Australia, with distribution in over 30 countries and strong growth in far-flung territories such as Russia and Tahiti. JBL is an American audio company founded in 1946. Founded by James B. Lansing (JBL) after he left the Altec Lansing company to form his own independent brand. Born out of the desire to celebrate the brilliance and craft of artists, JBL has long been dedicated to the pursuit of one truth - capturing the energy and emotion of the live performance. JBL has an undeniably rich heritage in audio. They are trusted by major concert venues, stadiums and music professionals around the globe. JVC was established in Yokohama, Japan in 1927 as the Japanese subsidiary of the U.S. firm, Victor Talking Machine Company. Born as a company that manufactured phonographs, they also pressed the first record in Japan, offering a rare combination of hardware and software production capability. Subsequently, as evidenced by the production of the world’s first VHS video deck, JVC developed into a leading technological innovator in the audio/video industry, creating new products that are a step ahead of the times for a worldwide audience. Almost a century later and JVC is still on the forefront of innovation. With new Audio/Video receivers with iDatalink Maestro support, HDMI interfacing, Bluetooth technology and clean, sleek interfaces, you can be assured that there is a JVC receiver just right for you. Wet Sounds™ is a marine audio manufacturer based out of Texas. Wet Sounds™ was founded by a group of audio industry veterans to deliver a new level of performance and style to the marine industry. Combining their expertise in audio and their passion for boating, Wet Sounds™, Inc. was launched to create a new level of standards as a "High Performance Marine Audio" manufacturer. Wet Sounds™, Inc. is a manufacturer with the innovation and experience to provide you with the highest performing marine audio ever. They are dedicated only to the marine industry to develop proprietary products and technologies that are not found anywhere else in the world. These products offer incredible performance and one of kind aesthetic looks. All backed by a group that knows marine audio.